As we began to make our way through the class I allowed myself to go about finding my own flow and meditative state. I was awoken by a keen sense of awareness that allowed me to watch myself from his possible perspective. I started to realize that there really WASN’T that much of my practice that I needed to modify. 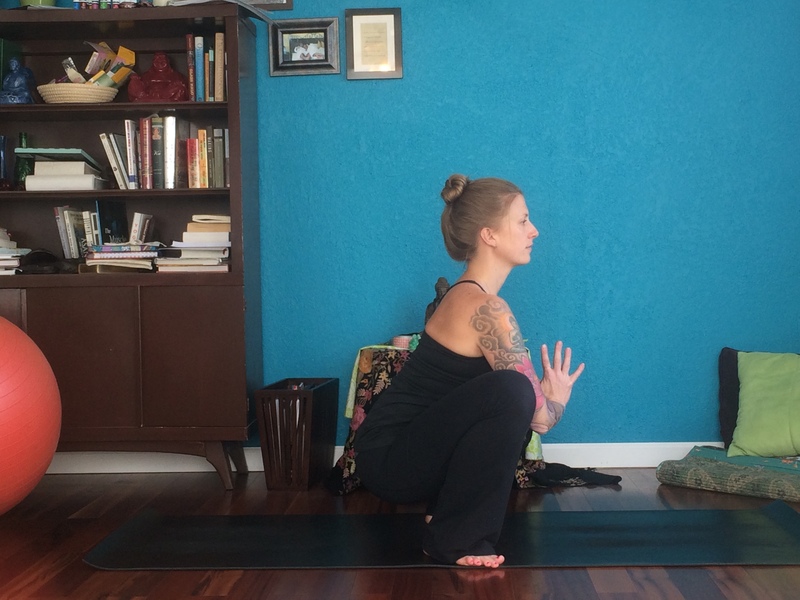 More than any necessity to change the postures, I was noticing that the uncomfortable part of my practice was the awkward transitions and the lack of strength. But for the most part I could do everything normally. Now, I’m going to give myself a quick pat on the back for this. I know not all preggers can make it half way through their pregnancy without many major altercations, but since I can, I’m feeling pretty good. 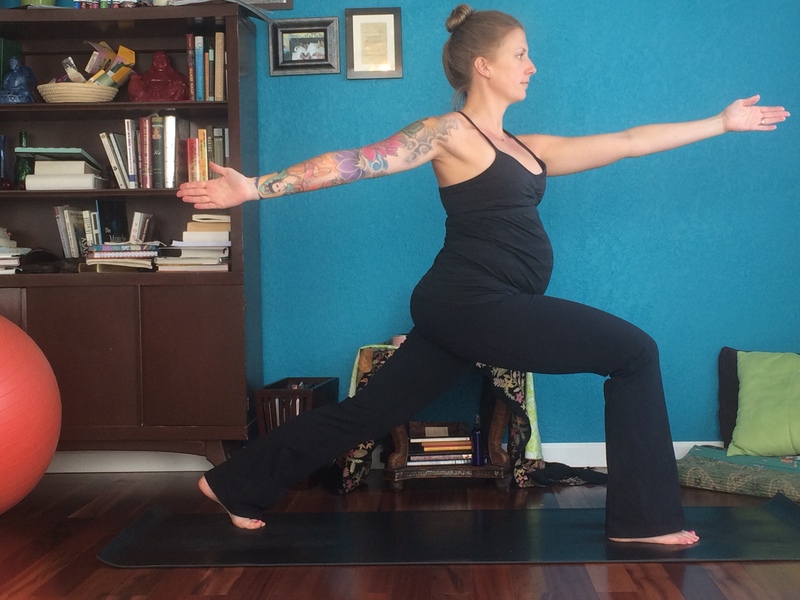 This got me thinking: a pregnant yoga practice isn’t only different for the obvious reasons, but perhaps the biggest shift is that it FEELS so different. So let it feel different. If you aren’t comfortable doing things the same way as before- then make up a new way that works for your beautiful belly. Remember, its such a short, sacred time- embrace it! Ok, the photos to follow are small variations to poses- some that we are generally told not to do by our doctors, and some that we are forced to modify as our body suggests doing so. 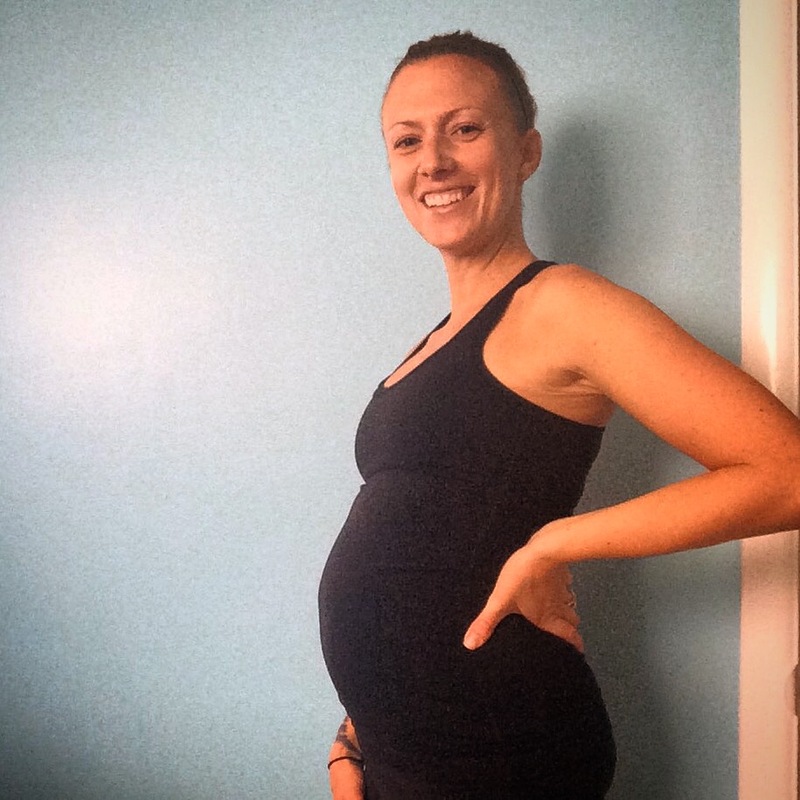 This is definitely one of the BIG special things about a prenatal yoga practice: your body is your boss. Even though you may have Dr’s telling you one thing and your mother telling you something else- YOU are in charge. If you feel good, if the baby feels good, I say go for it! Downward Facing Dog: not much to change here, but as your belly gets larger feel free to step your feet farther than hip distance apart. Plank: This pose is great for strength, tone, and stamina. It is also a great modification if/ when Chaturunga becomes too challenging. 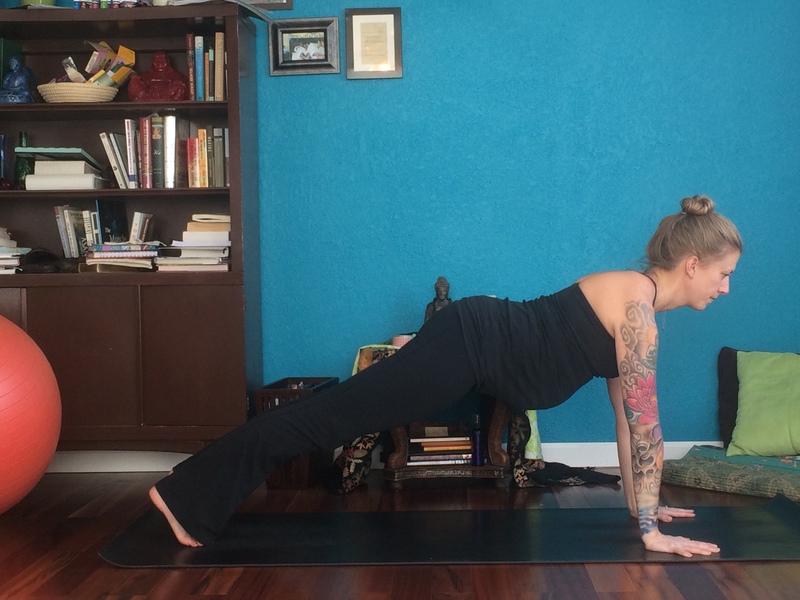 Chaturunga Dandasana/ Low Pushup: Again, not much to change- but consider using your knees. In my prenatal yoga classes we use Chaturunga as an opportunity to get in a few Tricep Pushups before we go back to Downward Facing Dog… as an option. This is a modification for Revolved Crescent Lunge. Dr.’s recommend to modify deep twists during pregnancy to help avoid Diastisis Recti. 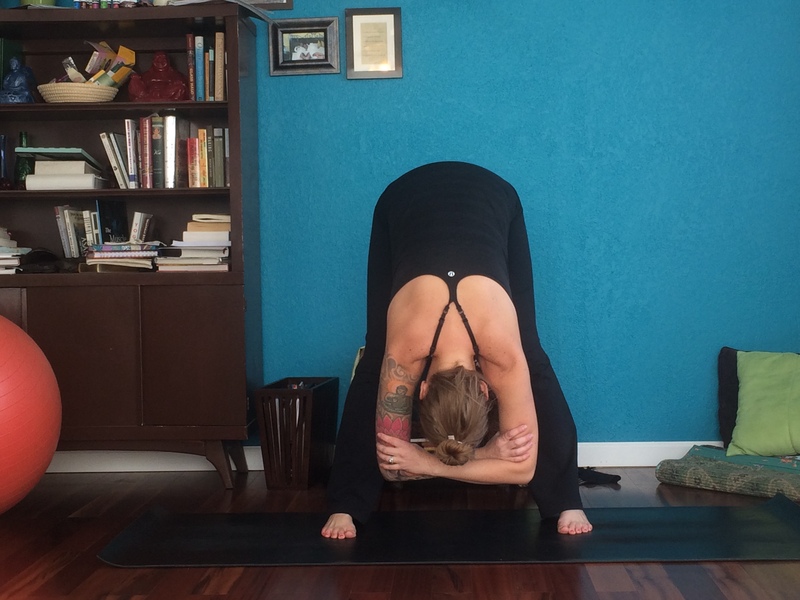 Prayer Twist: Use this Vertical Twist variation if it feels better for you. Hand to Big Toe Pose: If you are a Hot Yogi, then this pose is a great variation for Standing Forehead to Knee Pose. IT also feels great to open your hips nice and wide! Frog Pose: Great for any pregnant body- as this is really close to the most commonly used birthing position now-a-days. This pose is also great to insert into your practice during spine strengthening or belly-down yoga poses. 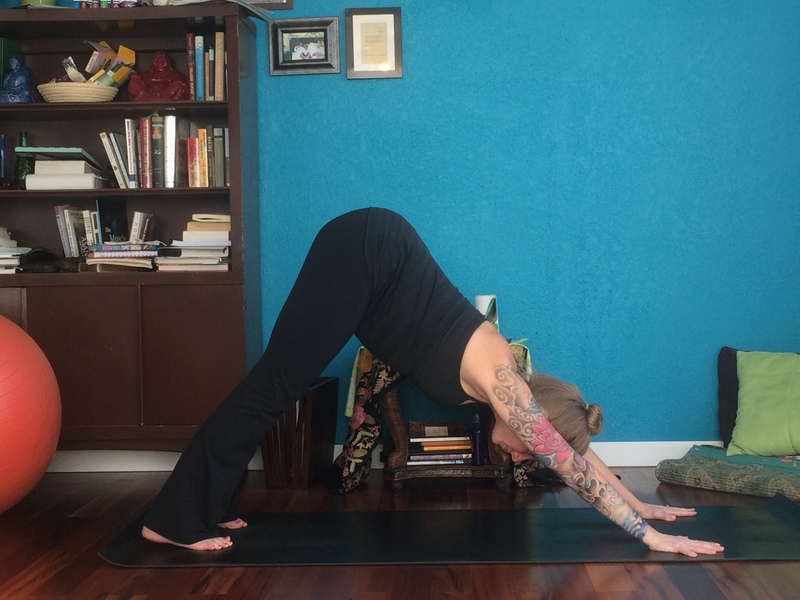 These backbend variations are gentle, but great for opening the heart and shoulders. I like to do these when the rest of the class is in plow pose or working on their core… after I do plank, of course! 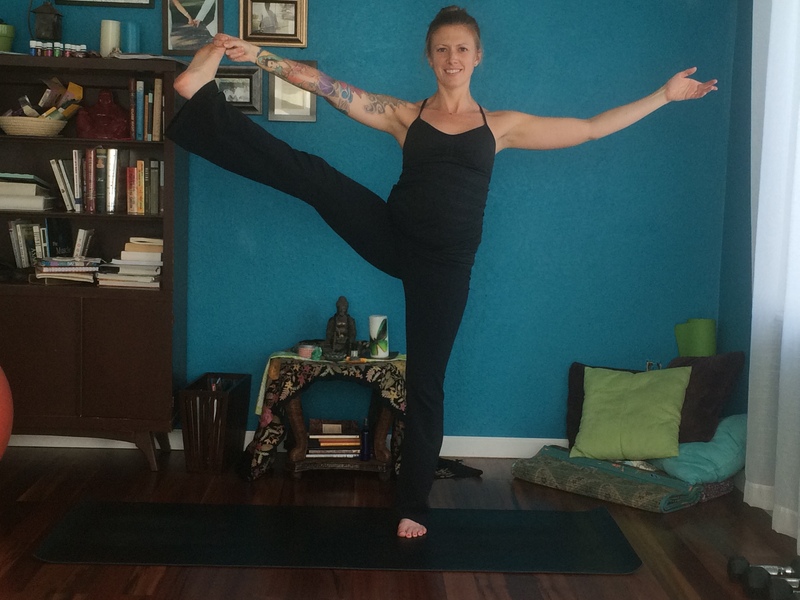 Inversions are a big topic of discussion for pregnant practitioners. I’m here to tell you not to be afraid. And, you will know as soon as you try if it feels right for you or not. 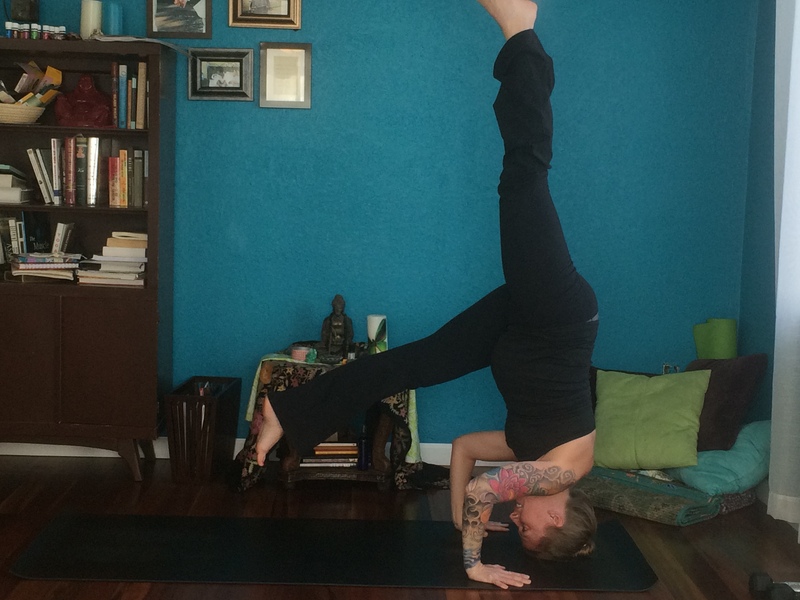 I did inversions all the way through my first pregnancy. I think it was more scary for the other people in the room than it was for me. AND, my baby was born perfectly healthy. You can always modify like I have here, by keeping one leg closer to the ground for balance and control. These poses are based on a combination of advice from my drs, my personal experience, and feedback from my prenatal yoga students. 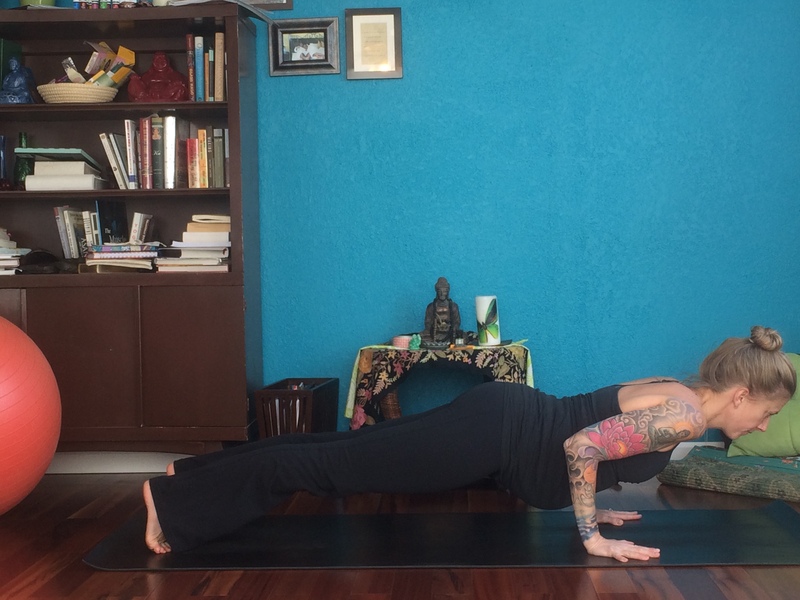 For the mamas out there who are getting to their mats even with a belly- good for you! 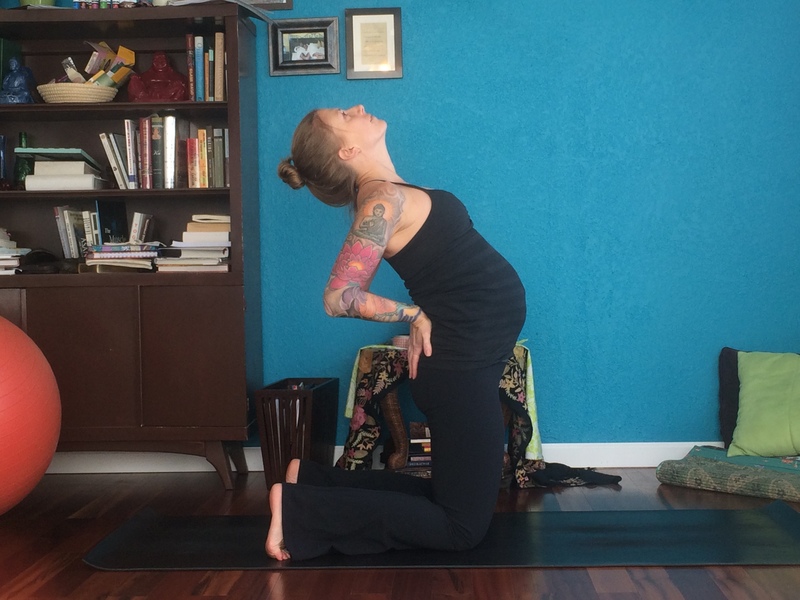 That baby is going to know flow, rhythm and breath before they are even born. And please, feel free to reach out to me with any questions you may have, I would love to chat with you. So the big announcement recently is that baby Cook #2 is on the way! I posted a pregnancy pic on FB and was amazed by all of the likes and comments. Not only was the support and excitement humbling, but it helped me to realize the incredible audience thats available when the news is about babies! As I continue to share parts of my journey I hope that if you or someone you know is expecting, there is some sliver of insight, grace, or maybe even humor that can be gleaned from my experience. Phase 1: Not so hot! For about the first, oh, 6 weeks or so that I new I was pregnant I just felt terrible. I was nauseous, tired, poorly motivated and eating horribly. Its an interesting cycle because I didn’t feel good, but the only thing that made me feel slightly relieved was food that I don’t normally eat. So I was snacking on white starchy carbs and cheese, which probably contributed to some of my lack of energy, but I couldn’t pull myself out! I’ve talked to a lot of moms-to-be who wind up doing the same things, so I don’t feel totally horrible about it, but still. Around week 11 I finally made resolve that I would have to force some vegetables/ salads/ fruits etc. Also, as a result of the fatigue and lack of motivation I wasn’t really working out. I’d say I was going through the motions, which may be enough for a woman in first trimester, but didn’t feel that productive. The third dimension of this phase is that the nausea DID actually keep me from practicing yoga. I couldn’t spend hardly anytime upside down because it felt so uncomfortable. Needless to say, I am very relieved to be past this part of my pregnancy. One of the most challenging parts of early pregnancy for me is that the cause of the symptoms is still hidden. I gain weight, I feel sick, I look tired, yet no one can see why. And then BUMP! Almost just like that! People start to notice and even ask me when I’m due. This is exciting to me because, I believe, being pregnant is such a sacred and special time for a woman. So now that people can tell I’m pregnant I actually feel much more confident. I don’t feel like I need to hide behind baggy shirts and avoid mirrors, but instead I can rock the baby bump and folks think its cute. And lets be honest, so do I. Interestingly, (and I am totally aware that hormones are really in charge of all of this) the confidence impacts my physical ability. 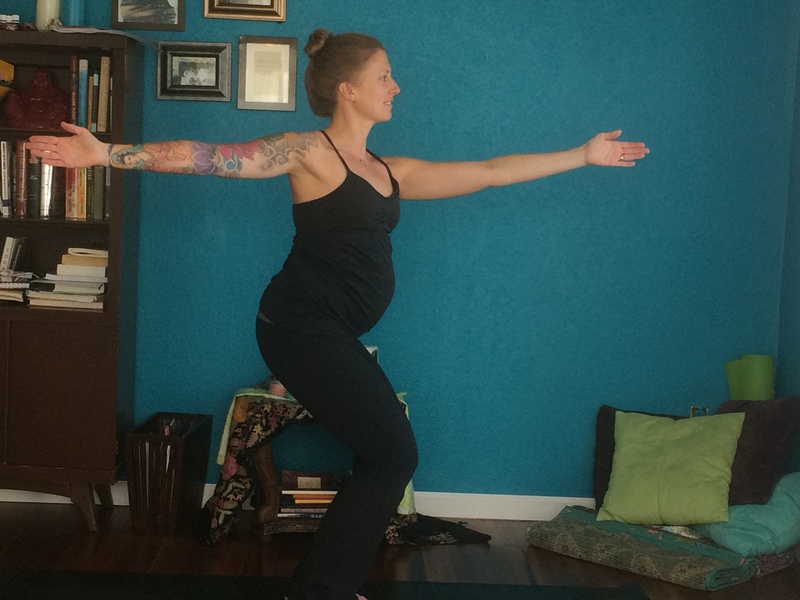 Pregnant workouts are so inspiring because its amazing the things your body can do- and all while you are creating and nourishing a whole separate human! I’m back to the gym, I’m back to my practice, and back to eating healthy and feeling great. So- to all the mamas out there wondering if pregnancy will always feel yucky- hang in there! It just might turn around for you. And for all the mamas nearing the end of their pregnancy you are about to become the most important person in the world to one little human. Be prepared to fall head-over-heels in love. 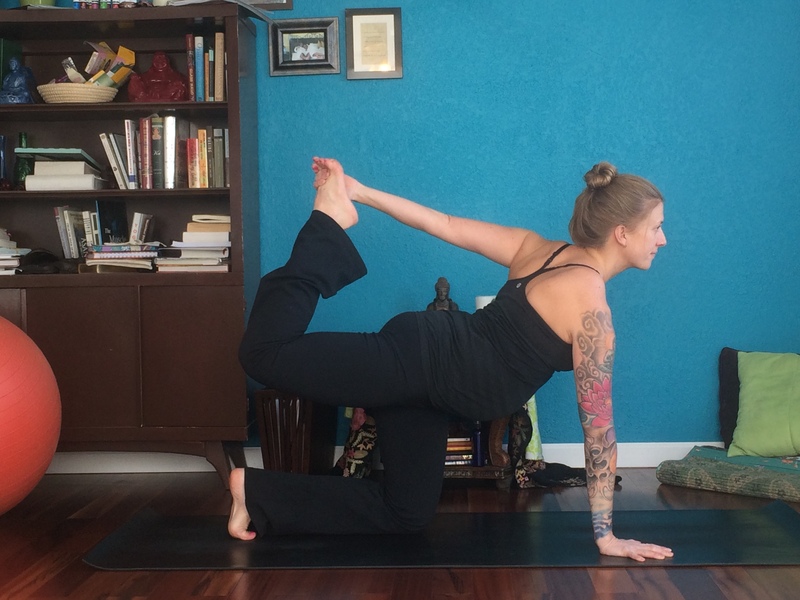 For those of us here in the middle of things- I will continue to post more specifics about how to modify workouts and yoga practice for pregnancy. Until then… I think I’ll reward myself with a DQ Blizzard.